One of the many goals for this instrument is to make it as light as possible. I believe that a light instrument is extremely responsive, especially when its stability is equal to (or better than) standard guitars. The neck construction was therefore an opportunity to save on weight immensely. The technique of veneering a neck is taken from the lute makers of Renaissance Europe. Traditionally, a neck from that period is made of a softer wood, such as poplar or spruce, and then veneered with a hardwood. I chose to take this principle a step further and make the neck even lighter. 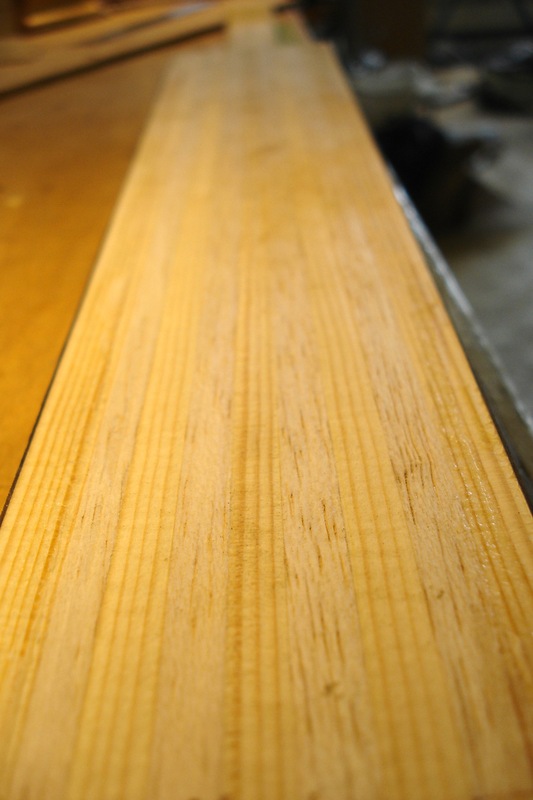 The core of the neck consists of several pieces of spruce and balsa. By using these two components, I can build a neck that is very stiff but unbelievably light. The core also extends into the body of the guitar, which is a technique I have meant to explore for many years. The neck vibration, and therefore any loss of energy is a problem factor for classical guitars. This type of “extended” neck should provide improved neck modes and less energy loss through neck vibration. 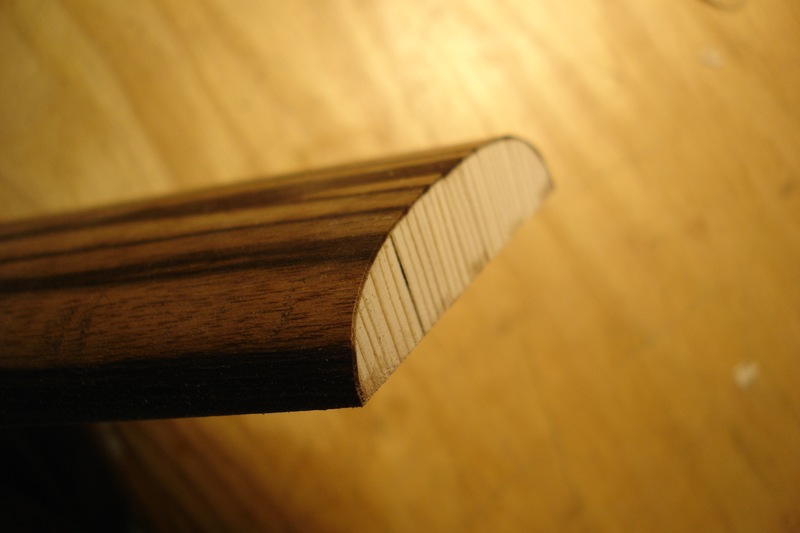 Also, this neck is not veneered with solid hardwood but with a thin veneer. It does increase the stiffness of the neck, but adds only a minimal amount of weight to this neck. 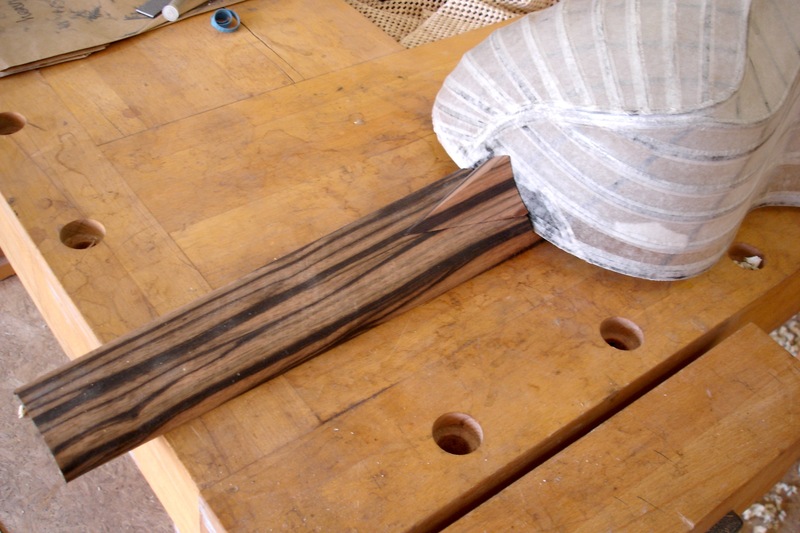 Here is a preview, and you see the dry layout of the neck before assembly. Note the little heel that accommodates the thumb of the left hand.